Yokogawa Electric Corporation is releasing Centum VP R4.02, an enhanced version of the company's flagship integrated production control system. This new version of Centum VP offers enhanced information visibility, a more intuitive operator interface, improved consolidated alarm management, a new Foundation fieldbus engineering function, and linkage with the Prosafe-RS safety instrumented system (SIS). With these enhancements to functions that provide a foundation for Vigilantplant, Yokogawa's vision for the 'ideal' plant, this new version will bring customers a higher level of stability, reliability, and productivity at their plants. To respond to changing needs and keep pace with the drastic changes currently underway in the market, it is imperative that companies optimise their plants, equipment and other facilities. 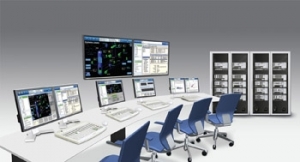 Yokogawa says it provides the products, systems, and services that help its customers enhance plant safety, reliability and productivity - and the foundation for these improvements is the company's Centum VP integrated production control system. The new version's functions have been enhanced to help Yokogawa's customers improve productivity; these include an easier to use human-machine interface (HMI), strengthened consolidated alarm management, and linkage with the Prosafe-RS SIS for improved safety. For increased reliability, a new Foundation fieldbus engineering function is provided that improves reliability and allows full use of the intelligent capabilities of field devices. Taking a long-term perspective, Yokogawa continues to enhance the products that its customers depend on to grow and develop their businesses. Centum VP R4.02 features closer linkage with Yokogawa's latest safety instrumented system (Prosafe-RS SIS R2.03.00). It is now possible to operate and monitor this system and the Centum VP production control system through the same HMI. This linkage between the two systems improves safety and efficiency. Enhanced consolidated alarm management functions incorporated in version R4.02 include the ability of alarm engineering to define operations such as monitoring and notification in the same engineering environment used to configure operations such as control and monitoring. This linkage of the engineering for the alarm, control, and monitoring functions improves efficiency. Version R4.02 of Centum VP incorporates a new function that can automatically check data after configuration changes are made to Foundation fieldbus-compatible sensors and final control elements such as valves. This improves the quality and efficiency of engineering work done in the field and saves time. Main target markets and applications include the monitoring and automatic control of plants and manufacturing equipment in manufacturing and processing industries such as oil and natural gas, petrochemicals, chemicals, iron and steel, pulp and paper, electric power and water treatment.